The MCPE+ Mod adds more than 100 new blocks to the game. The majority of them are blocks designed for decorational purposes. For example, some of them include beautifully patterned brick blocks which can be used for building magnificent castles. 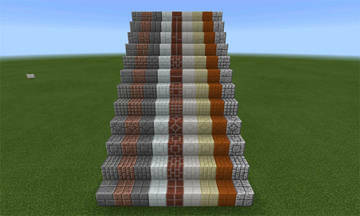 But there are also more simple blocks like bookshelves in new colors and a portable crafting table.